The Thrifty Wargamer now has Four-Color Studios' Bug Warriors. You can't find them anywhere else, so stop trying. Four-Color Studios' Bug Warriors are now available at The Thrifty Wargamer! This pack contains enough pieces to make two unique figures. 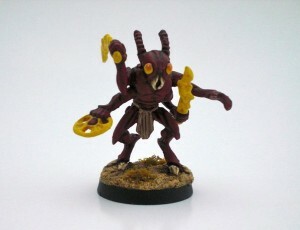 The Bug Warriors were sculpted by industry veteran Bob Naismith and would fit perfectly in any fantasy wargame or RPG.